AUSTRALIA'S fighting drought-breaking win over South Africa in Adelaide on Friday night has failed to cover up the cracks still riddled throughout the Aussie team. Australia's batting woes continued in the seven-run win, which has sent the series to a decider in Hobart on Sunday. Following the victory, Shane Warne called for Australia to replace struggling spinner Adam Zampa with 36-year-old Fawad Ahmed. Warne said Australia must decide immediately if Zampa was the man to lead the team at next year's World Cup in England - and believed selectors should turn to Ahmed for the next 12 months. Warne's comments came after Aussie captain Aaron Finch appeared to lose faith in Zampa after he was taken out of the attack when belted for 0-24 from his first three overs. 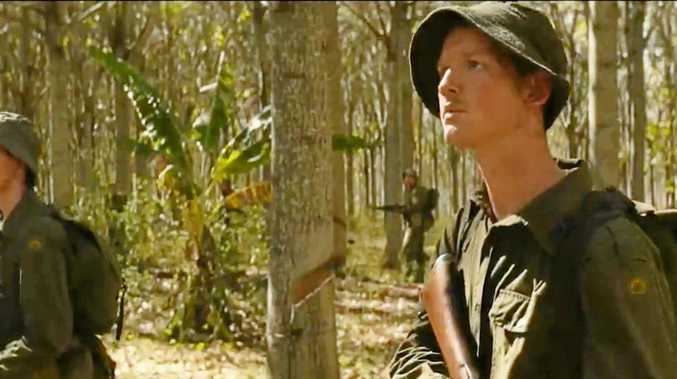 Zampa had to wait until the 35th over before he was finally given a chance to bowl his fourth over. Fawad Ahmed in the Big Bash last summer. Zampa bowled well at the death, but still finished with 0-57 from nine overs - the worst of the Aussie bowlers. Warne said the clear lack of faith from selectors had piled the pressure on Zampa and that was impacting his performance. 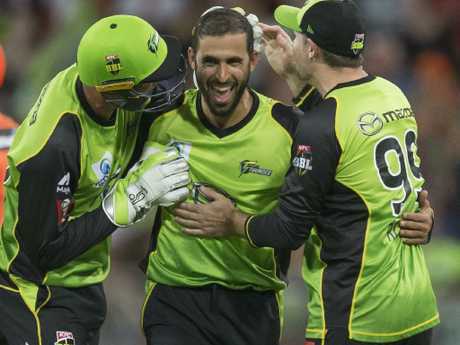 The Australian great said forgotten spinner Ahmed was still Australia's premier slow bowler in limited-overs cricket and would be able to lead Australia's attack in England next year. Ahmed has not played international cricket since Australia's ODI series in England in September 2013. 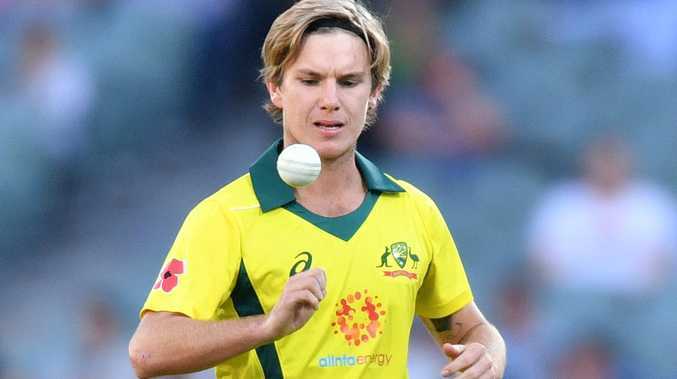 "The question is, is he (Zampa) the best spinning option that Australia has and if he is then stick with him," Warne told Fox Cricket. "For me, I would say in a 12-month period that Fawad Ahmed is the best spinner we've got for a short year. He's 35 I think. I'd back him for a year and say, 'You're playing up until the World Cup'. And then maybe go back to Zampa. "And if they decide that he's too old then I'd go back to Nathan Lyon. Because Nathan Lyon has proven that he's the best spinner in Australia. He can adapt to any form of the game too." Former South African captain Graeme Smith told Fox Cricket that Australia was the only cricket team in the world who didn't know who its spinner would be at the ODI World Cup. "He doesn't look like a man who's come in believing that he's backed (by selectors)," Smith said of Zampa. "Make a decision and then back a person for a while. "Australian cricket are the only ones for mine of the top echelon who are so uncertain of their slower bowling options. I feel at the World Cup that is going to be key." AUSTRALIA has a real dilemma on its hands as it continues to balance its selections between present needs and World Cup 2019 preparations. Aussie legend Shane Warne opened the can of worms on Fox Cricket when he declared there was no point in having Travis Head open the batting when he was no chance to open the batting at the World Cup when David Warner and Steve Smith returned. Warne said Australia needed to throw caution to the wind and focus on the World Cup. Part of that, he said, was picking opening batsman such as D'Arcy Short and Chris Lynn to open instead of down the order. Aussie cricket legend and Fox Cricket commentator Kerry O'Keeffe said Australian selectors had a particularly difficult dilemma surrounding World Cup preparations, especially while the Aussie top order continues to fold under pressure. "I think it's going to be tricky," O'Keeffe said. "Smith and Warner are going to be available. The way they are batting at the moment, nobody is locking down any positions. "It's still very much an open book that top six. 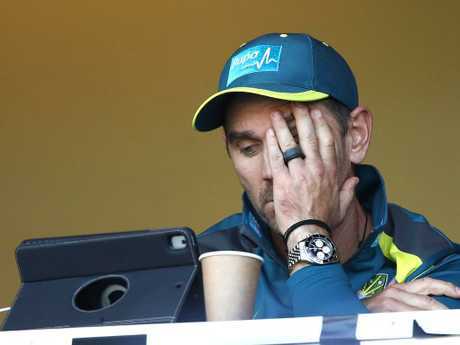 These are auditions for the World Cup and we're fluffing our lines at the moment and that is a problem for Australian cricket. "We need to find the six that's going to take us deep into the World Cup. And it's an unconvincing top six at the moment." CHRIS Lynn tried to smash Kagiso Rabada one too many times, giving up his wicket straight after blasting 18 runs from four balls. Lynn fell for 44 from 44 balls and appeared in the zone after blasting a six and three boundaries from the first four balls of Rabada's over. His giant swing from Rabada's next short ball cost him his wicket. Lynn's swooshing blade connected a top edge that sailed through to Quinton de Kock. Lynn's innings left Australia on 4-133 after 27 overs, before another abysmal middle-order collapse. 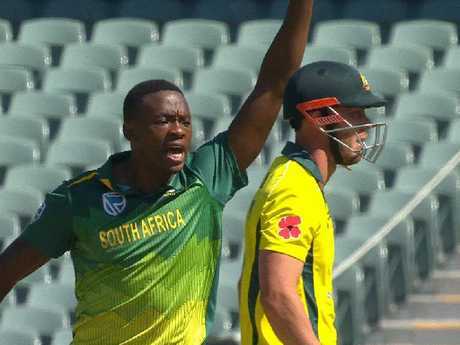 Rabada was heard on the Fox Cricket effects' microphone giving Lynn a serve after the wicket. Rabada ran past Lynn in the follow through of his delivery and loudly celebrated with his teammates as he served Lynn with a stare. Lynn dismissed the incident in an interview with Fox Cricket after Australia was bowled out for 231. "It's all part of the game," Lynn said. "I actually don't mind that." Rabada was famously suspended from the final two tests of Australia's infamous tour of South Africa earlier this year after brushing Steve Smith with his shoulder and serving David Warner with a heated verbal barrage. Rabada's suspension was later overturned.